As we wrap up this year’s A to Z Blogging Challenge, I want to thank all those business owners who have agreed to be part of our DOWNs Town Mall and invite anyone who’s not yet listed to join us! 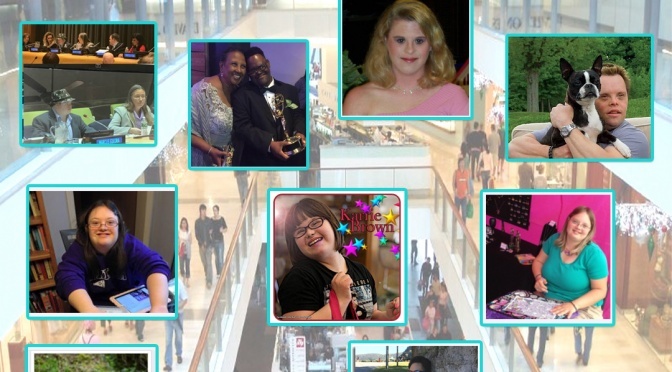 So far, we have 11 fabulous businesses listed in our self-advocate directory. We’ve got everything from kettle corn to snow cones, fine art to rap cds! Our job here on The Road is to help spread the word about all of the fabulous things that adults with Down syndrome can accomplish – if given the chance. We hope The DOWNs Town Mall and The DOWNs Town Theater will help shine a light on what is possible. If you know of anyone who’s not listed yet, please let us (and them) know! Thank you for including Karrie!!! She just made her IMDb page today, with credit from her first film! !